I remember hearing this song on an advert for the Brit Awards and just thinking that the all-round electronic sound was really cool. The part they used in the commercial was first verse with the "follow me, follow me right now, JUMP!" - and it just sounded so cool. When I heard the chorus was basically the word "DIBBY" being said 15 times followed by the word "SOUND" - four times, it put me off the song slightly. But over time I grew to enjoy the whole song fully. It's very catchy, even if the chorus is arguably quite annoying. 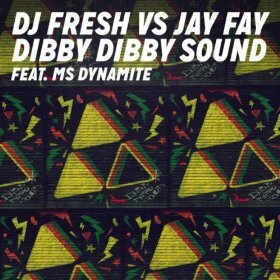 It's still a quality track, the music sounds awesome and MS Dynamite's verses are rapped well. It's definitely one of the highlight tracks of 2014 in the electronic/hip hop genre. If you missed #56 go here.